It is easy to forget now that it started so well. When Jose Mourinho waved goodbye to his players before the first international break at the end of August, United had won four out of four. 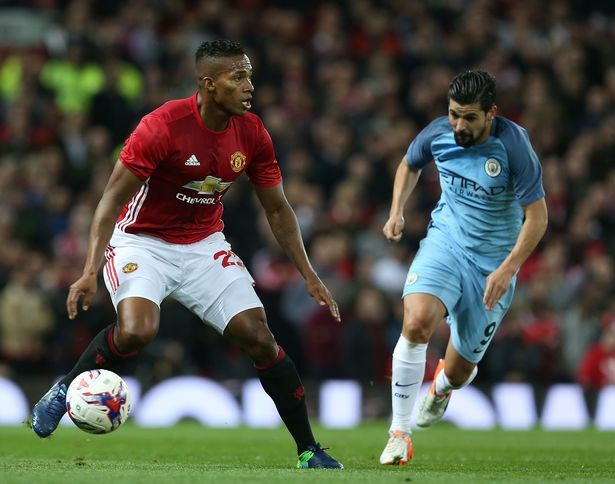 A derby defeat to Manchester City was still two weeks away and everything, up until then, had gone smoothly- Antonio Valencia and Luke Shaw were playing well, too. Shaw looked like the player he was before his horrific leg break against PSV Eindhoven in September 2015. Valencia was rejuvenated and so good he was nominated as the Premier League’s player of the month for August. Even in a team full of superstar forwards, Valencia and Shaw were two of Mourinho’s main attacking threats. Flying forward from full-back, they gave United width, purpose and a plan. There are lots of reasons for the recent indifferent form and the full-backs’ dip in form is among them. Some of the blame lies with Mourinho.At times, the full-backs have looked nervous to cross the halfway line. As if they were following strict instructions to be more aware of the space behind than the possibilities in front. He might also be responsible for what has happened to Shaw, at least in part. Criticised by Mourinho after the 3-1 defeat to Watford in September, the 21-year-old has insisted, at least in public, that his relationship with his manager is good. But there were times against Fenerbahce, particularly in the first half, when he looked unsure of where he should be and what he should be doing. He is only just back from a troublesome groin injury, which does not help. But he does not look like the £30m left-back United signed from Southampton in 2014. He may not even have a place in the team at the moment if Daley Blind wasn’t needed in the middle.Matteo Darmian fared little better and it was notable that he didn't manage to complete a cross all night. Valencia and Shaw were two of Mourinho’s big positives in August. More than that, the way they played crucial as United started with four wins from four games. Sound defensively and dangerous going forward, Fenerbahce made United look fluid and threatening. Mourinho’s team were neither as they slumped to defeat on Thursday night. The ball was very rarely wide, and the pattern of play, if one was there at all, was very different to those early wins against Leicester, Bournemouth and Southampton. With injuries and suspensions piling up, Mourinho’s problems are mounting as he heads into the latest international break. The mood is much less positive this time.